In addition to horizontal, vertical, and 180° panoramas, this camera can stitch 25 photos together in eight seconds to create 32 MP sphere panoramas! 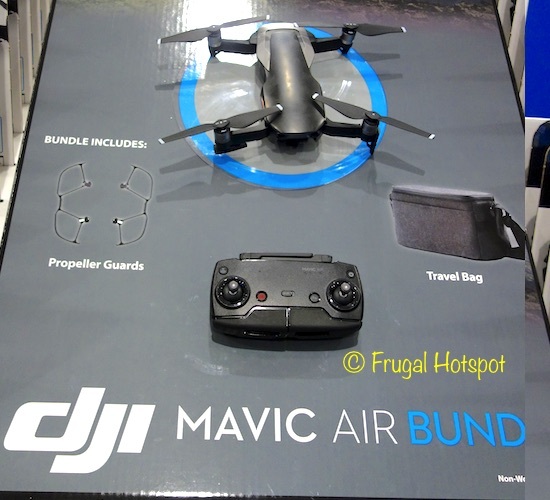 Select Costco locations have the DJI Mavic Air Aerial Camera Bundle on sale for $599.99 (after instant savings), now through January 1, 2019 (Costco warehouses will be closed that day but the item may still be available online). 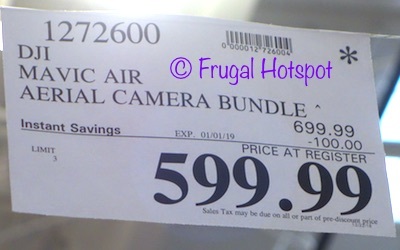 That is $100 off Costco’s new lower regular price of $699.99. While supplies last. This product must be registered with the FAA. You must be at least 13 years of age to register. Additional certifications may be required for commercial use. Additional state or local requirements may apply. Check your local jurisdiction. Recommended minimum age: 18 years or older. 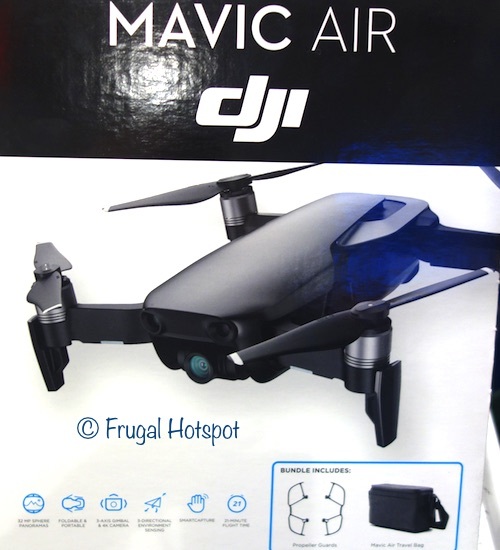 Drone Item #1272600. Price and participation may vary so it may not be available at your local Costco or it may not be on sale at your local Costco or it may be a different price at your local Costco. Prices & sales dates may change at any time without notice. Photos may not be a perfect representation of the product.